and a Twenty Foot class. 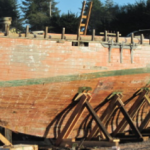 The Royal Alfred, apparently, was considering adopting a Twenty-Four Foot class and the D.B.S.C. committee decided to recommend to the next A.G.M. that full support should be given to whatever design the Alfred adopted. It was a passive attitude that would not have recommended itself to the early D.B.S.C. pioneers. Certainly, at this time there seemed to be no great enthusiasm for replacing the Twenty-Fives(2), which, as a separate class, had ceased to exist from the 1929 season. Perhaps the chill economic climate had something to do with it. Perhaps, too, the developing cruiser class was sufficient to cater for those who preferred to sail in larger boats. Yet the hankering for the one-design concept, giving clear cut boat-to-boat racing, unobscured by handicaps, remained. Eventually, at the November 1939 general meeting, Dr H.J. Wright was able to report that five of a new Royal Alfred class were under construction. But the war clouds had gathered and for the duration of the conflict the new Twenty-Fours, partially built, remained in the shed of the Bute shipyard at Ard na Meelish in the Isle of Bute, the yard of their designer, Alfred Mylne, who had designed the Twenty-One Footer about forty years earlier. It was not until 1947 that the Twenty-Four Foot class finally emerged in Dublin Bay. It was thought at the A.G.M. 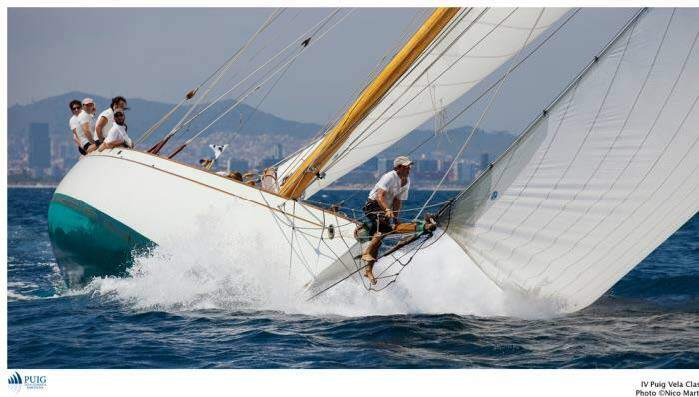 that year that the class would sail very few races in its first season. But whatever the turnout, competition was evidently keen enough to result in the class’s first protest – Vandra against Euphanzel for tacking in her water. Euphanzel was disqulified. 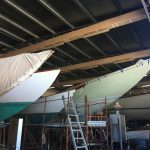 All the owners of the partially built Twenty-Fours were members of the Royal Irish Yacht Club(3) and almost all of them Twenty-One(4) Footer men. 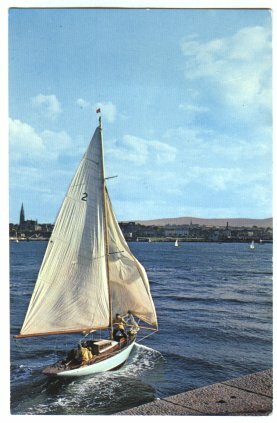 So, since I had learned my sailing in the years before the war in a Twenty-One – the Geraldine – I took the opportunity of a short leave when my flotilla was training in the Clyde in 1943 (I think) to visit Bute and see how far they had been built when work had to stop. I seem to remember that there were three fully planked-up though not yet decked; even in this state I could see that they had a hull with beauiful lines – it seemed to me that Alfred Mylne had modernised and drawn on the Twenty-One into this beautiful shape. Later, Dr Rory O’Hanlon, who brought Harmony into Dublin Bay used to maintain they were ‘a Six Metre with a proper amount of beam’. No matter, they were, and are, a hull of unusual grace – a boat of marvellous balance, especially when running in really heavy weather. What that modern boats were a little more like them ! Mylne built all of them (at a cost somewhere in the region of £750). The orginal five were: Euphanzel,Fenestra,Vandra,Zephraand Adastra. Later, Harmony and Arandora joined the fleet. OnlyPeriwinkle stayed in the Clyde but she was not quite standard for her mast was stepped a foot further aft than usual. 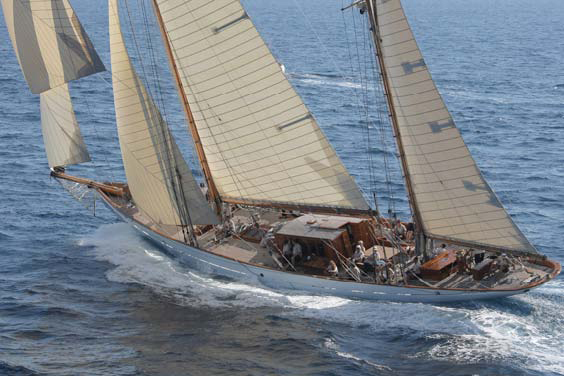 At the time it was designed – and for quite some years afterwards – the Twenty-Four Footer was the largest one-design yacht in Europe, a further feather in the cap of Dublin Bay, where the very concept of one design had evolved. As far as I can recollect, the first boats reached the bay in late 1946, and one of them was Adastra. One of the others assuredly must have been Vandra because her owner, Dr Herb Wright, was the driving spirit in the year or two before the war and had been deputed ‘agent’ by the other owners to supervise the building so that his boat at least – so the others used to hint – was always in the most advanced state when he made visits of inspection. 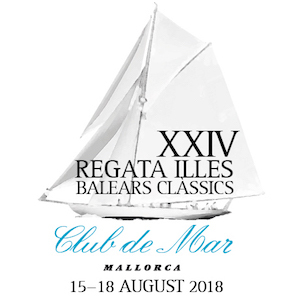 In their first season, in 1947, the Twenty-Fours had only working jibs – it is my recollection that this was because if they had been provided with Genoas the customs authorities could have classed them as ‘sports gear’ and so taxed them whereas being marked ‘pleasure boats’ they were tax free. Mr Seymour Cresswell, that respected repository of ancient Dublin Bay lore, disputes this. His explaination is that labour and especially materials were still so tightly controlled in the UK that only working sails could be made. In any case, the genoas did not arrive until a season or perhaps even two seasons later. They were at first looked upon as a close -reaching sail rather than one for beating. This, perhaps, was due to the fact that at this time there were none of those new fangled fancy gadgets, winches, aboard any of the boats. The Twenty-Fours were almost certainly the first one designs in Dublin Bay to have twin forestays for rapid changing of the genoa, done of course, by the paid hand, and splendid so long as the sail already set was on the lee side, which, lake a slice of buttered bread falling on the floor, seldom was. 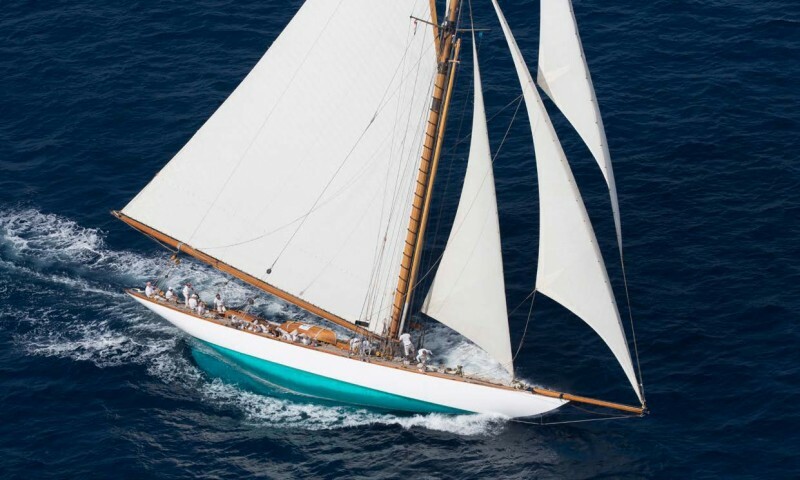 At Whit, in the first season of 1948, Zephra was the first Twenty-Four to race off-shore when she sailed in the race to Holyhead. Since then they have not only provided some of the finest racing, season after season, but have shown that they are capable of cruising to far and sometimes wild waters. Since they first arrived, almost a third of the club’s life ago, the Twenty-Fours have remained intact as a one-design class, with a present fleet of five, the lovliest of all Alfred Mylne’s creations. LOA m / ft: 11.43m/37'5"
LOD m / ft: 11.43m/37'5"
LWL m / ft: 7.41m/24'3"
Beam m / ft: 2.43m/7'9"
Draught m / ft: 1.63m/5'3"
Information: Designed by Alfred Mylne with seven of the eight yachts built still survivingIn 2005 Villefranche Sailing project bought the yachts and have them all undergoing a restoration at the Chantier Naval Stagnol in Benodet, South Brittany, France. 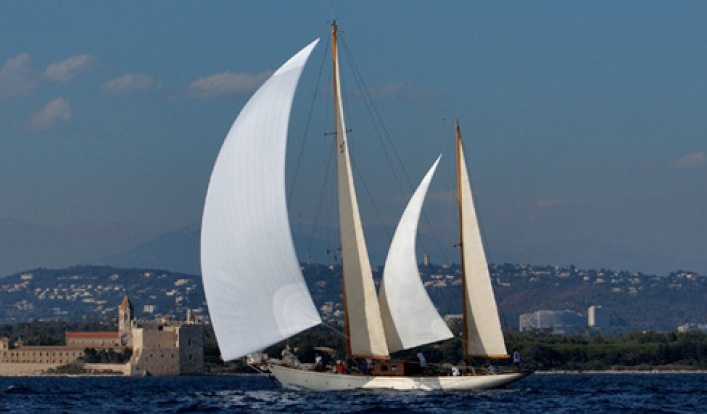 The one-design class is hoped to be competing in the Mediterranean by 2010.